Most music fans going to “Wang” this year will have made that decision some time ago, so this is intended as a guide to the myriad jazz gigs on offer. With the Invictus Games fresh in our minds, the Australian Art Orchestra’s Friday night concert (8pm WPAC Theatre) entitled Sometimes Home Can Grow Stranger than Space is an appropriate starting point. Based on a concept by Paul Grabowsky AO, composers Andrea Keller, Tilman Robinson and AAO Artistic Director Peter Knight focus on those who tried to pick up their ‘normal’ lives after the war. In three world premieres inspired by Monash University Faculty of Arts’ One Hundred Stories – which remember not only the men and women who lost their lives, but also those gassed, crippled, insane and irreparably damaged by war who returned to Australia – the composers employ archival recordings, tape, electronics and improvisation. Expect this to be challenging and affecting. 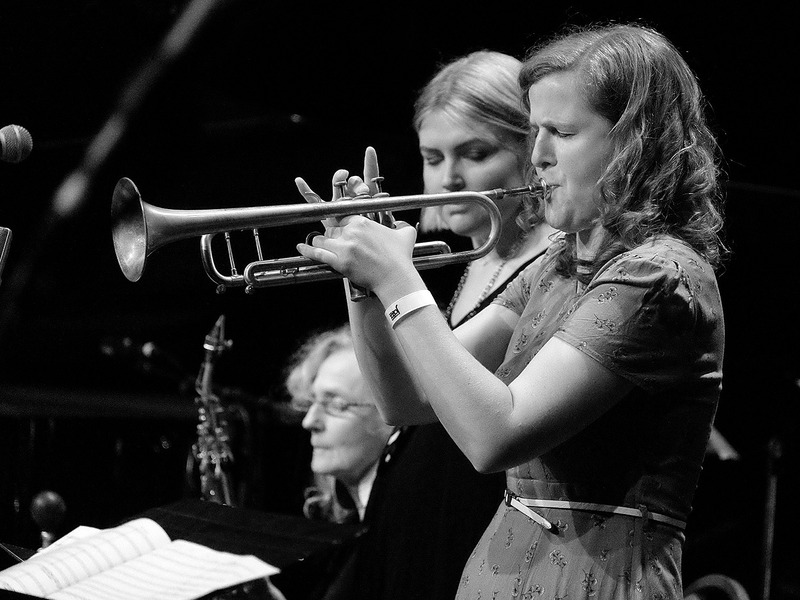 Similarly significant and topical issues will be addressed musically on Saturday (6.30pm WPAC Theatre) when Sirens Big Band performs [A]part: an hour-long suite by trumpet player Ellen Kirkwood, featuring Andrea Keller (piano), Sandy Evans (saxophones) and Gian Slater (voice). This work is a response to world issues such as climate change, the refugee crisis and the omnipresence of the internet. This predominantly female and trans band is sure to deliver an arresting performance. It’s great to have expatriate Australian guitarist Alex Stuart over from Paris again, this time with his French band – Irving Acao tenor saxophone and keyboards, Arno de Casanove trumpet and keyboards, Antoine Banville drums and Ouriel Ellert bass. Stuart’s fourth album, Aftermath (2017), reflects the dark turning points the world is facing, but is inspired by “the omnipresent and evident beauty that surrounds us”. Word is that this band is tight as and hot. The quintet’s two outings (7.30pm Friday WPAC Hall and noon Saturday St Pat’s Hall) suffer a little from inevitable festival overlaps, but Melbourne audiences can also catch the band at 8pm on November 4 at The Jazzlab. Less thematically concrete but definitely referencing the environment, Cheryl Durongpisitkul’s suite Follow Me Through the Red Ash (4pm Saturday, St Pat’s Hall) will draw on techniques in Igor Stravinsky’s ballet, Petrushka to explore what Nikos Fotakis has described as a musical narrative that is “a kind of mystical environmental fairy tale, about the balance of power within an ecosystem”. This year’s program places less emphasis on the American jazz tradition, offering an eclectic mix of artists and influences from Europe, Japan, India, Iran, Moravia, Sri Lanka, the Middle East and Indonesia. As well as Stuart’s quintet, Europe is well represented by saxophonist Yuri Honing (Holland) and Trio Elf (Germany), both certain to be festival highlights. Honing’s conviction that Europe is undervalued, along with his love for classical music, history and art, influenced his 2017 album Goldbrun. Desire was Holland’s No.1 best selling album in 2015. Honing on tenor saxophone will join Wolfert Brederode (Holland) on piano, Gulli Gudmundsson (Iceland) on bass and Joost Lijbaart (Holland) on drums for two concerts (10pm Friday, and 10.30pm Saturday, WPAC Theatre). Expect peace, serenity, tension and mysticism. 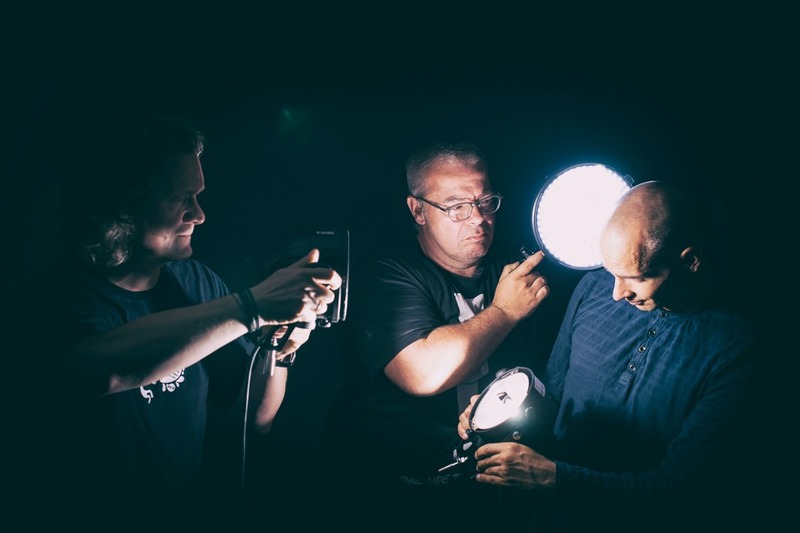 Trio Elf’s acoustic line-up comprises Walter Lang on piano (expressive melodies and energetic chords), Peter Cudek on acoustic bass (melodious counterpoint and low-register synth-like grooves) and Gerwin Eisenhauer (a drum machine come alive). In two concerts (8.30pm Saturday, WPAC Theatre and 8.30pm Sunday, St Pat’s Hall) expect jazz, classical, rock and electronic influences from a trio crossing between the modernistic, hyper-rhythmic and a more lyrical, traditional approach. Connections between Australian and Japanese musicians will bear fruit at Wang this year in three outings. Recently returned after time in Japan, Australian trumpeter Niran Dasika will join Japan’s Sumire Kuribayashi – known for her storytelling on piano – to present KIRI (noon Saturday, Holy Trinity Cathedral), a suite inspired by the ‘nihonga’ paintings of Kaii Higashiyama. 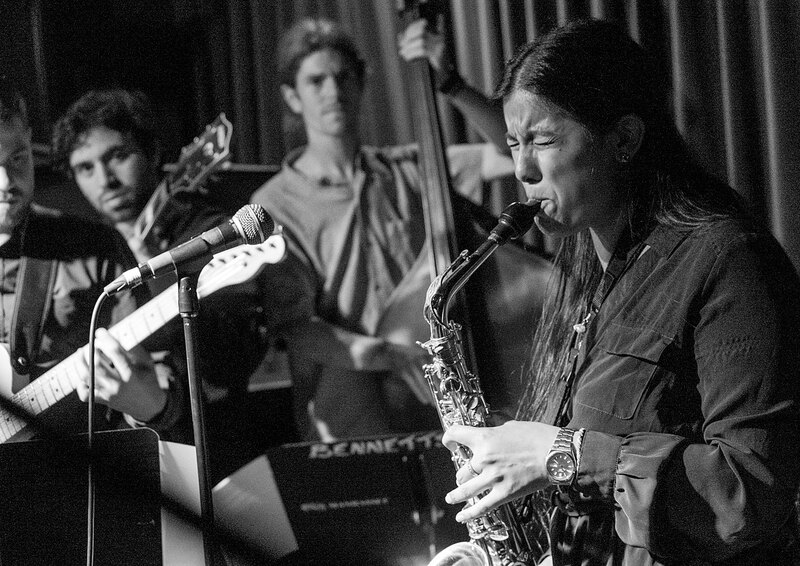 In a dectet on Sunday (noon, WPAC Theatre) Dasika and Kuribayashi will present longer forms and orchestral textures in her Pieces of Colour, along with Akihiro Yoshimoto (saxophones), Reiko Yamamoto (vibes), Tomohiro Yahiro (percussion), Yuki Ito (bass), Hideaki Kanazawa (bass), Hiro Kimura (drums), Kengo Komae (drums) and Australia’s James Macaulay (trombone). On Saturday (2pm, WPAC Hall) Macaulay will lead the Hishakaku Quartet – named after a Yakitori restaurant in Tokyo – with Dasika on trumpet, Marty Holoubek on bass and Japan’s Shun Ishiwaka on drums. Their debut album, recorded in Tokyo in October last year, features compositions by Macaulay, Dasika and Holoubek. Indian musical traditions will be reflected in three concerts at Wang, two featuring cross-cultural ensemble The Three Seas (9.30pm Friday, WPAC Hall and 8pm Sunday, WPAC Theatre). Fusing modern Australian jazz with West Bengali folk music, the band comprises Matt Keegan on saxophone, Steve Elphick on bass, Raju Das Baul on vocals and khamak, Deo Ashis Mothey vocals, guitar and dotora, Gaurab Chatterjee on dubki and drums. Expect echoes of traditional Baul, carnatic and Nepalese folk songs in danceable music that radiates joy. Raj Das Baul will also perform solo (3.30pm Sunday, Cathedral) on khamak, a string instrument originating in India, drawing on the rich folk forms of Baul music. 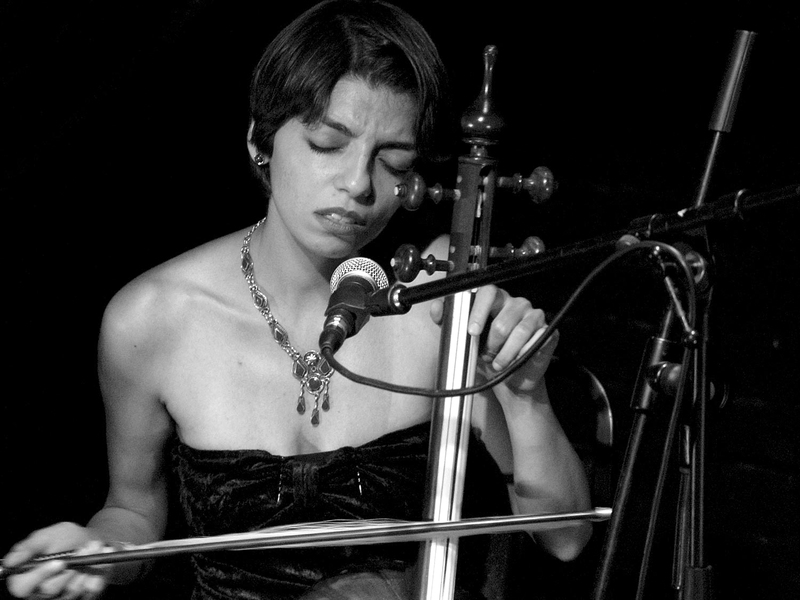 Contemporary Persian and Western motifs will blend (7pm Sunday, WPAC Hall) when Gelareh Pour’s Garden Quartet guarantees to sway the heart and persuade the feet to tap. The band features Pour on kamancheh (Persian spiked fiddle) and voice, Mike Gallichio on electric guitar, Arman Habibi on santur (Persian hammered dulcimer) and voice, and Brian O’Dwyer on drum kit. Composer and oud virtuoso Joseph Tawadros AM will seamlessly bring middle-eastern and classical music together with jazz and his sharp wit on Sunday (5.30pm, Cathedral). Moravian influences will be evident when pianist Emil Viklicky – known for his response to Janacek’s Sinfonietta – performs in a duo with trumpeter Miroslav Bukovsky (1.30pm Sunday, Cathedral). Adding to the international collaborations abundant at this festival, Indonesian master percussionist Cepi Kusmiadi will perform on the kendang sunda, a set of two-headed drums, with Australian musicians Julian Banks on saxophone, James Hauptmann on drums and Chris Hale on bass (4.30pm Sunday, WPAC Hall). They will perform music from their new album Agung, recorded in Denpasar to reflect their climbing of the volcano and good friends tackling adventure head on. 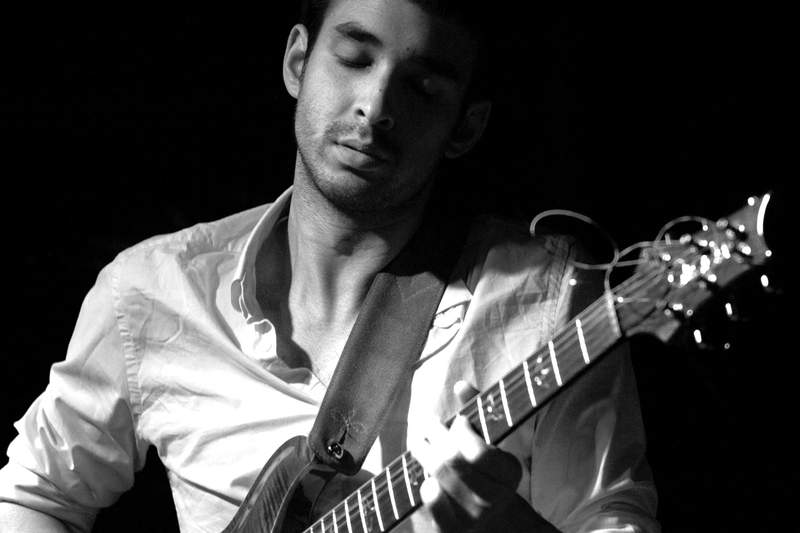 Sri Lanka is the focus of The Calling (1pm Saturday, WPAC Theatre), the fourth project in Adam Simmons’ acclaimed The Usefulness of Art concert series. 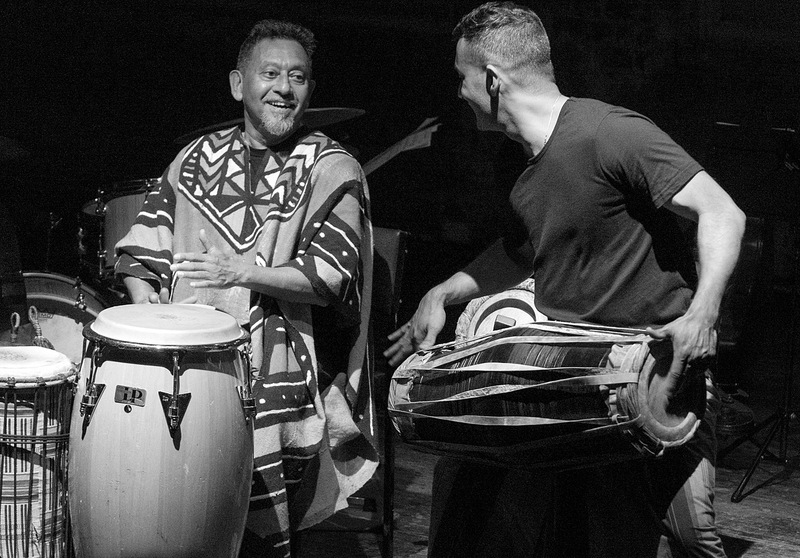 This intensely personal work, performed by the Adam Simmons Creative Music Ensemble with Afrolankan Drumming System and Vikram Iyengar, was inspired by sounds and experiences from Simmons’ first visit to Sri Lanka. Don’t miss it, if only to see whether Ray Pereira smiles. Collaborations among Australian musicians have for many years delivered patrons at Wang the performances that are the most inspiring and long lasting in their impact. The huge amount of hard work and talent in this nation’s jazz musicians is regularly showcased at this festival. This year is no exception. On Saturday (1pm, Cathedral) Sydney’s saxophonist, composer and educator Sandy Evans OAM will join Melbourne’s pianist, composer and educator Andrea Keller for a duo set that will undoubtedly delight. And on Sunday (3pm WPAC Theatre) one of our finest large ensembles, Ten Part Invention, will present some classic compositions from founding member Roger Frampton as well as new works by current band members. What a host of talent: Miroslav Bukovsky trumpet/musical director, Sandy Evans saxophones/musical director, Andrew Robson saxophones, Paul Cutlan saxophones, John Mackey saxophones, Warwick Alder trumpet, James Greening trombone, Paul McNamara piano, Steve Elphick bass, Dave Goodman drums. Another concert not to let slip past unnoticed features Quattro Club (11am Saturday, WPAC Theatre) a new quartet consisting of Niko Schauble drums, Mirko Guerrini woodwinds, Joel Hands-Otte woodwinds and Dan Gordon tuba. Expect compositions as starting points, gently morphing group explorations and superb solos. And for lovers of soul, vocalist Tina Harrod (1pm Sunday, WPAC Theatre) is sure to wow audiences with songs from her latest album City of Longing, performed with Stu Hunter on piano, Dave Symes bass, Matt Keegan saxophone, Evan Mannell drums, James Greening trombone, Cameron Deyell guitar, Ray Cassar trumpet, and on vocals Virna Sanzone, Evelyn Duprai and Lisa Spence. For those who like their musicians to be daring or dangerous, trumpeter Reuben Lewis will lead Melbourne psychedelic jazz collective I Hold the Lion’s Paw in an outing (2pm Sunday, St Pat’s Hall) offering a trance-inducing concoction of electro-acoustic noise and slowly evolving soundtracks. Collective members on this occasion are Jordan Murray trombone, Cheryl Durongpisitkul alto sax and flute, Adam Halliwell guitar, David Brown electric bass, Maria Moles drums and Tom Lee double bass. No festival should be without some fun, and Wang promises to deliver that via two concerts. Canada’s The Shuffle Demons (10pm Saturday, WPAC Hall) wear spectacular hand-painted suits and love to parade through the audience as they play a mix of funk jazz, hard bop jazz and jazz rap. On sax and vocals are Richard Underhill, Matt Lagan and Shawn Nykwist, while Michael Herring contributes bass and vocals and Stich Wynston drums and vocals. That’s a lot of vocals. Expect wild romps into the crowd, free jazz, danceable funk, poetry and killer solos. A Great Rack and an Empty Reverb (6pm Sunday, St Pat’s Hall) is apparently a cross between jazz and stand up comedy, with Maria Moles (drums/percussion), Adam Halliwell (guitar/synth) and Emily Bennett (vocals/effects rack) offering what we might encounter at a New York comedy club in a weird parallel universe. And no festival these days can be without a band that can appeal to a younger audience. After all, the occasional longstanding jazz follower at Wang may be a little long in the tooth. (Who said that?) So, the big attraction this year in that space, gathering the right metrics, will be the US outfit FORQ (9.15pm Saturday, St Pat’s Hall and 10pm Sunday, WPAC Theatre). FORQ was founded by keyboardist Henry Hey (David Bowie, Empire of the Sun, Jeff “Tain” Watts) and bassist Michael League (Grammy-winning leader of Snarky Puppy). Now Kevin Scott on bass joins Hey, Chris McQueen (Snarky Puppy, Bokanté) on guitar and Jason “JT” Thomas (Roy Hargrove’s RH Factor, Marcus Miller, D’Angelo) on drums. The band’s third album Thrēq (pronounced “threek”) was released late in 2017. Drums are the featured instrument in the National Jazz Awards, the 10 finalists being Alex Hirlian, 24 (Sydney, NSW), Alex Reid, 25 (Perth, WA), Alexander Inman-Hislop, 25 (Petersham, NSW), Alf Jackson, 27 (Hobart, Tas), Angus Mason, 25 (Glengowie, SA), Damien Ellis, 32 (Thornbury, Vic), James McLean, 28 (Preston, Vic), Josh Baldwin, 33 (Adelaide, SA), Lewis Pierre-Humbert, 27 (Tecoma, Vic), and Oli Nelson, 25 (Redfern, NSW). The hard-working support band comprises Stu Hunter piano, Brendan Clarke bass and Paul Cutlan saxophones. The judges are David Jones, Hamish Stuart, Dave Goodman. After all that listening to other drummers, Jones will join Evri Evripidou on six-string bass (9pm Sunday, WPAC Hall) as Third Ear to create sonicscapes “born without pre-conception”. There are other Wang concerts not mentioned in this guide, but that does not mean they won’t entrance, enthral and appeal. St Pat’s Hall will be set out differently this year, offering a club-like atmosphere. And that will be setting for the closing concert of the festival, The Orszaczky Budget Orchestra, which celebrates the energy, passion, and dazzlingly inventive arrangements of Hungarian-born bandleader, composer and visionary Jackie Orszaczky, who died of Lymphoma in 2008. Fronted by Tina Harrod and vocalist Darren Percival, the ensemble will feature many players who performed regularly with Jackie over the years. With Dave Symes bass, Hamish Stuart drums, Stu Hunter keys, Clayton Doley keys, Arne Hanna guitar, Matt Keegan saxophone, James Greening trombone and Virna Sanzone backing vocals, this should wrap up Wangaratta Festival of Jazz & Blues in style.